A fun craft activity for Carnival. 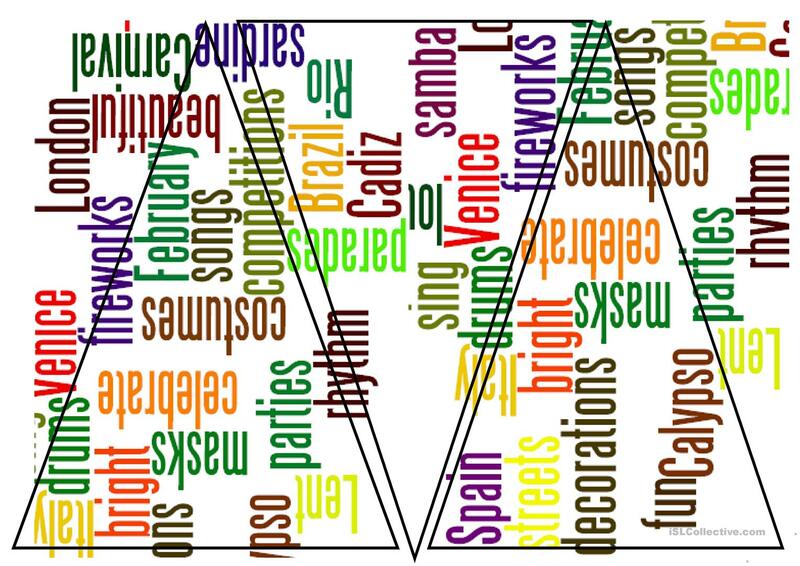 Let students design some Carnival bunting using the Carnival related vocabulary you have taught them. (e.g. 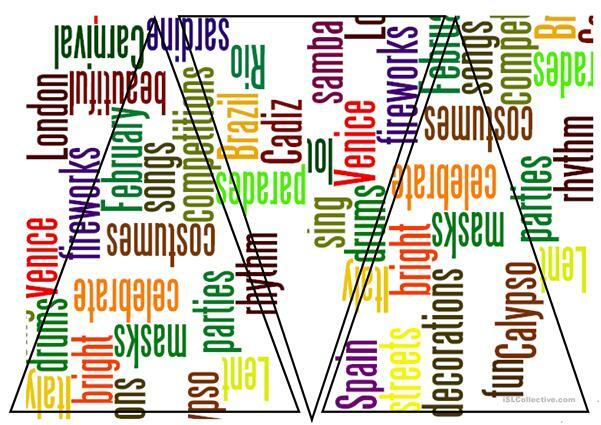 Carnival, decorations, Calypso, Samba, dance, sing, parades, Cadiz, sardine)You can use the bunting to decorate the class in time for carnival and remind them of the language they've learnt. The present downloadable worksheet is meant for elementary school students at Beginner (pre-A1) and Elementary (A1) level. It is useful for developing your learners' Writing skills. It features the theme of Easter.